Rebekah Saylors, Scholarship Coordinator, said, "Scholarships are often the first stepping stones to the access of higher education. 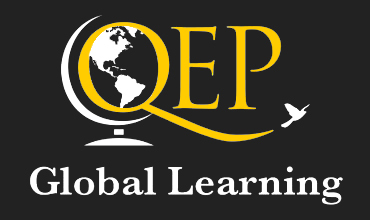 They allow students to study abroad, return to school to finish their degree, or even advance their education with a master's or doctorate. 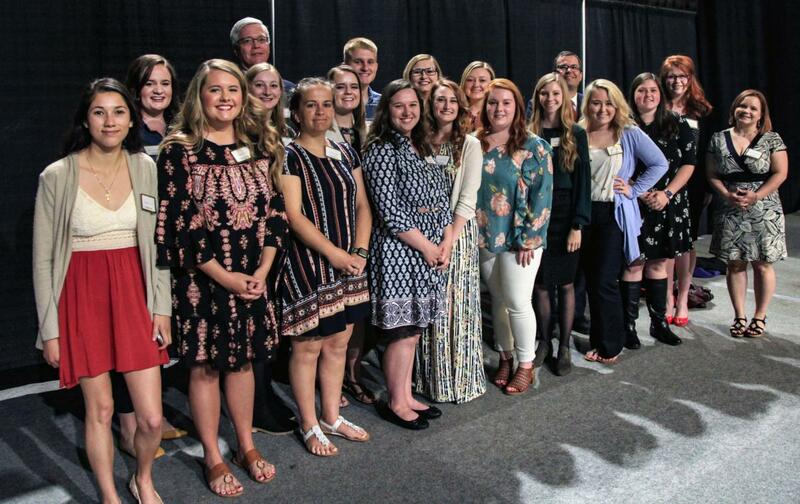 For the 2018-2019 academic year, we awarded over $800,000 in scholarship funds to almost 350 students." 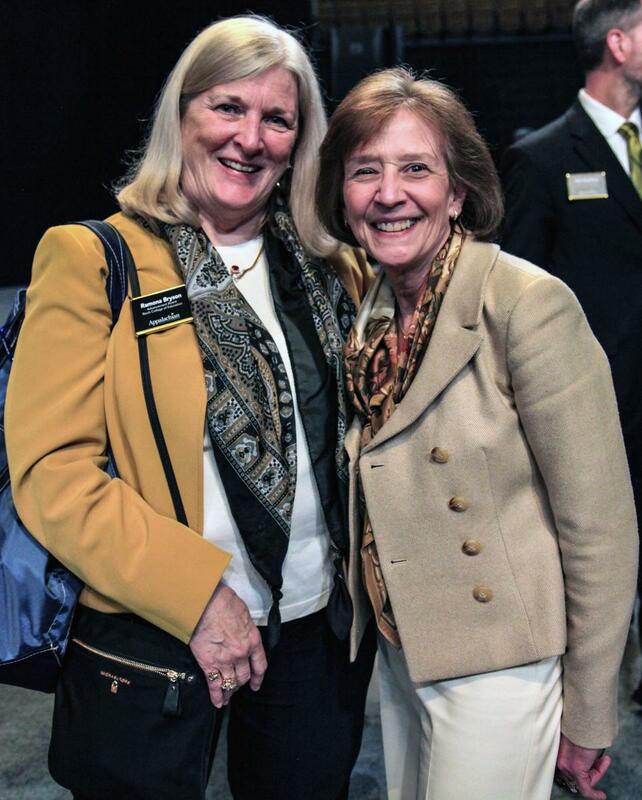 Dean Melba Spooner with Advancement Board member and guest speaker, Ramona Henderson Bryson. Photo by Audrey Jones. 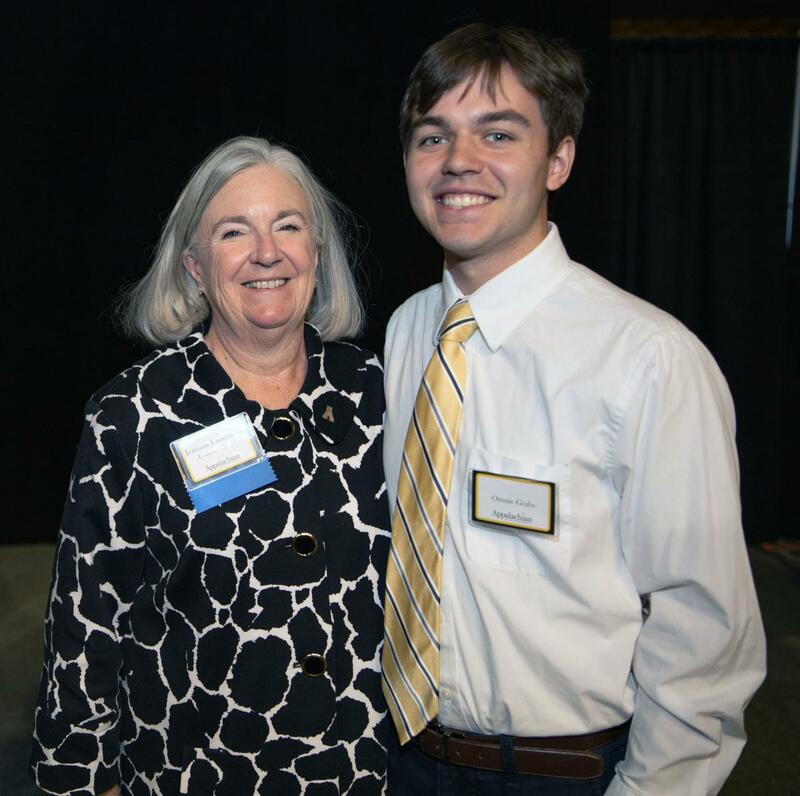 Student speaker, Omnie Grabs, with donor Jeannine Underdown Collins. Photo by Chase Reynolds. 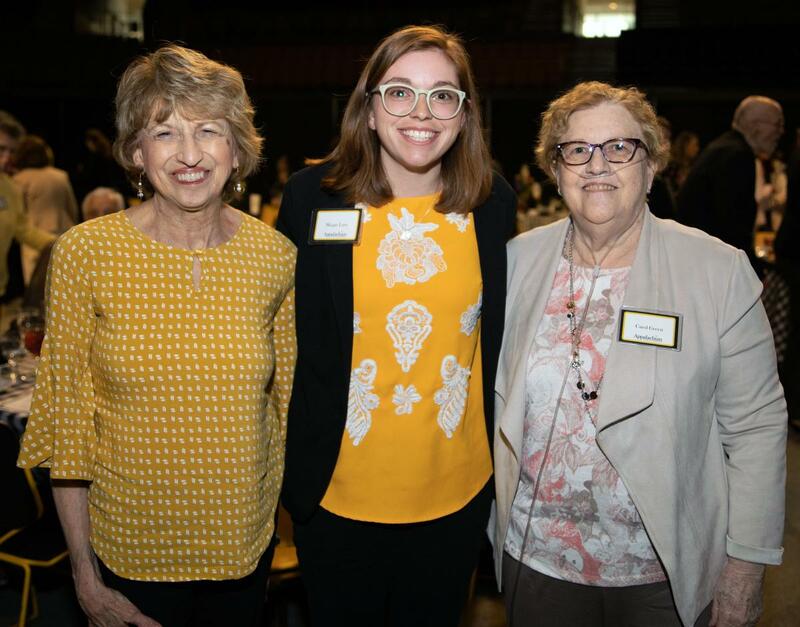 Student speaker, Megan Laws, with donors Dr. Connie Green and Rev. Carol Green. Photo by Chase Reynolds. 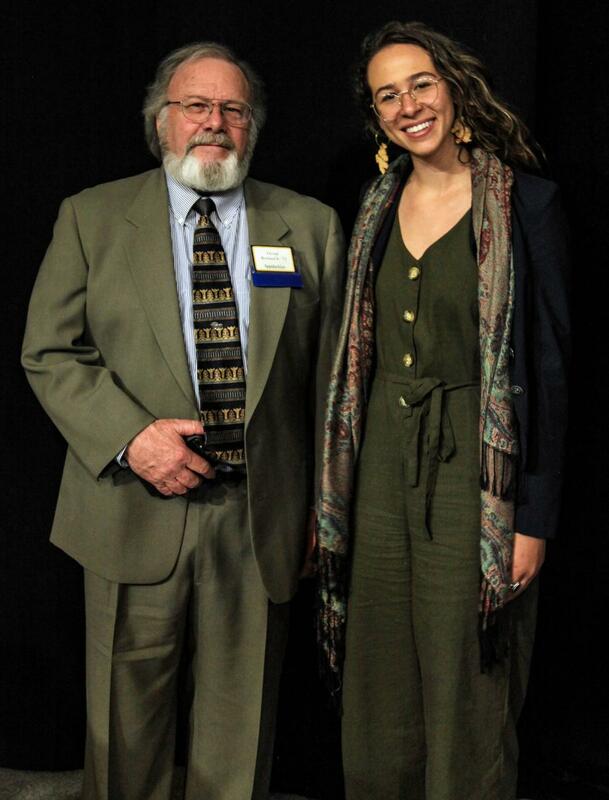 Student speaker, Tiana Eovaldi, with donor George Rowland, Jr. Photo by Audrey Jones. The school supply center pieces were donated to the Appalachian State Academy at Middle Fork. 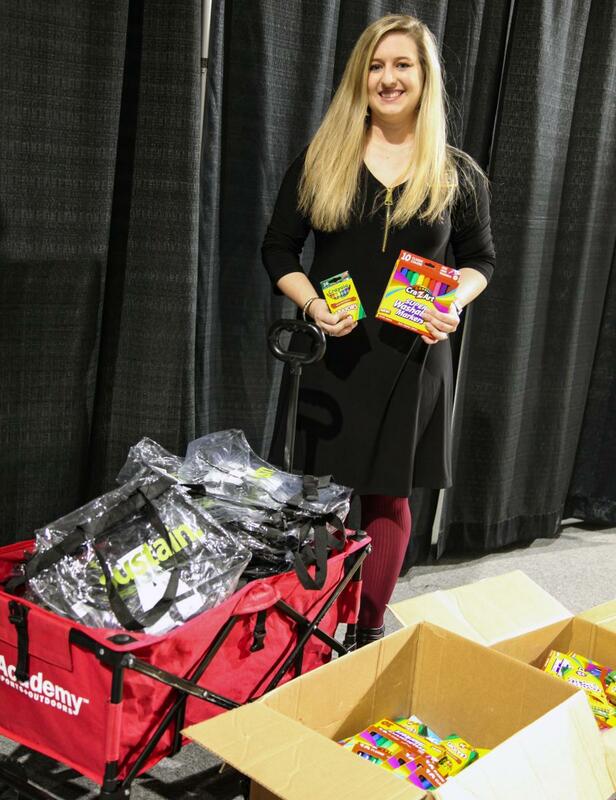 Academy teacher and scholarship recipient, Julie West, with the school supplies. Photo by Audrey Jones. SECU Appalachian Partnership Scholarship recipients with Mike Salzano and Ben Dickerson. Photo by Audrey Jones. 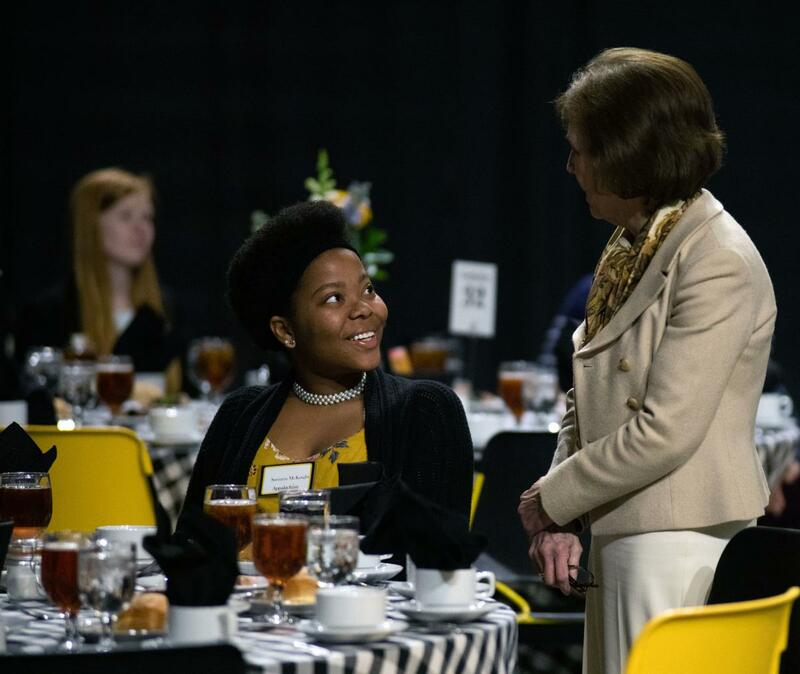 Dean Spooner greets sophomore Samaria McKnight. Photo by Chase Reynolds. 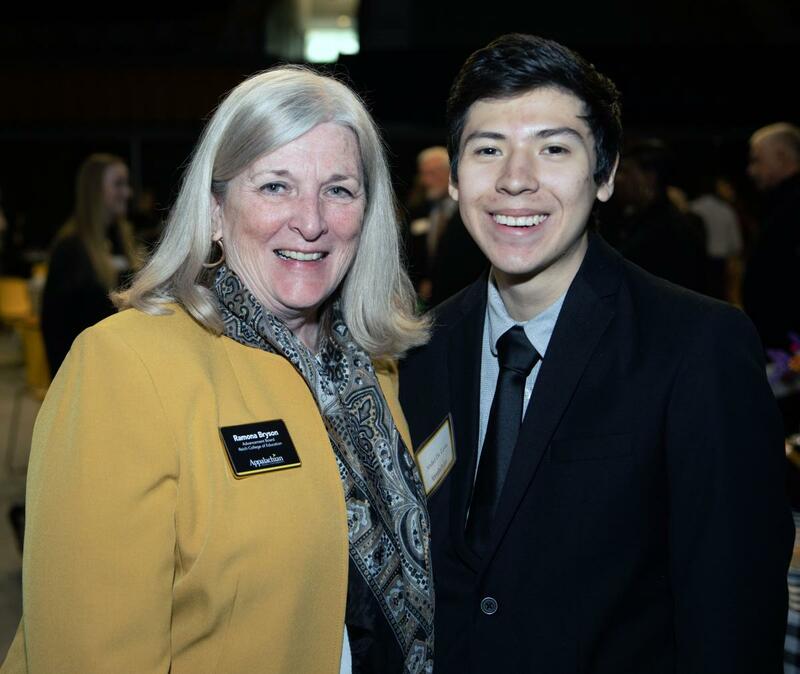 Guest speaker and donor, Ramona Henderson Bryson, with scholarship recipient Abdiel De Lyon. Photo by Chase Reynolds. 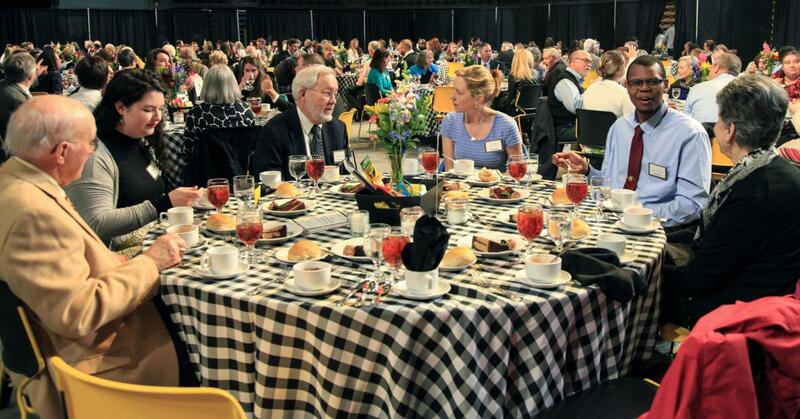 The scholarship luncheon is an opportunity for students to connect with the donors of their scholarships. Photo by Audrey Jones.